It’s graduation time again! Although books are always my favorite gifts to give, 18-year-olds really don’t want/won’t read inspirational books by Dr. Seuss, Ann Patchett or Anna Quindlen–sadly, I know this from experience. So instead, I focus on gifts that are thoughtful and useful. 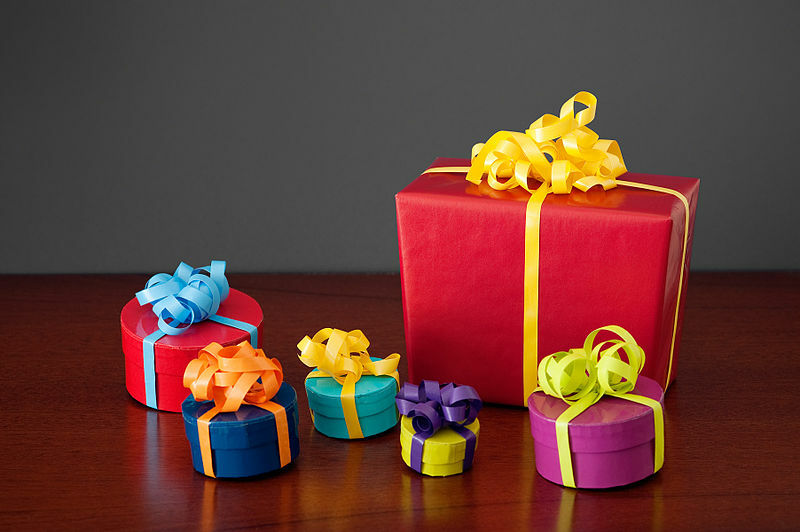 Later in the week, I will share ideas about gifts you can assemble and gifts you can sew. umbrella–an auto open/close travel-size umbrella is a useful gift that will fit in a backpack or purse. 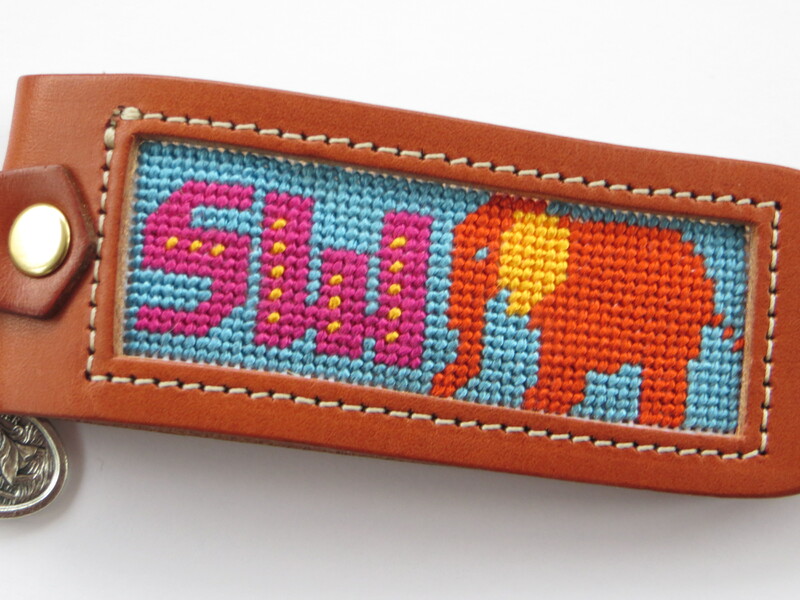 With a label maker, you can make a label with the recipient’s name and attach it to the handle. coffee maker–there are many affordable models to choose from. If you’d like, you can throw in a package of filters and some coffee. thermos–every morning my son fills his 40-oz stainless steel model with coffee to take with him to class. It’s a long-term money saver–who needs Starbucks? A thermos also works for tea drinkers. colorfast towels–students love colorful towels for their dorm rooms, but acne medications can make the colors bleed and fade. Look for towels that are labeled colorfast and resist staining. canvas duffel bag–a basic classic duffel bag is great for lugging clothing to and from college. I have found that REI carries a moderately priced line of duffel bags in a range of sizes from small to XXXL. gift card to college bookstore–obtaining one takes a little effort, but a gift card to their college bookstore can help students with purchasing books and other supplies. gift card to grocery store–no matter how good colleges say the food is in their dining halls, students occasionally want to make their own choices. A gift card to a grocery store can allow them to treat themselves when they are tired of the usual fare and can also be used to pick up other incidentals. gift card to local store/restaurant–Google the location of the college, search for stores and restaurants within walking distance of the school, and buy a gift card to one. Amazon gift card–a gift card from Amazon is a terrific gift that can be used to buy a wide range of school items, including used textbooks. Once the student gets to school, she can take stock of items she still needs and then order them online and have them delivered to her at school. Solmate socks–if you want something a little quirky for a girl grad, Solmate mismatched socks are fun. 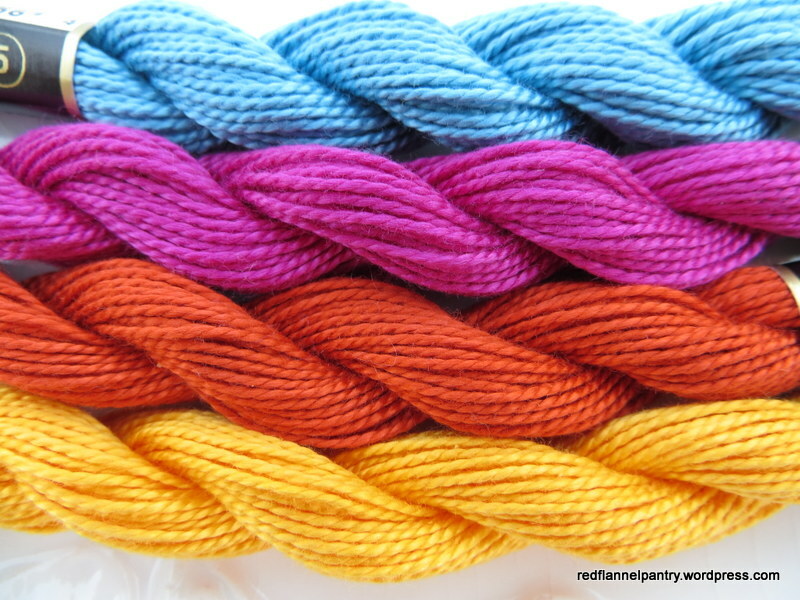 They are thick and wear well–perfect for padding around a dorm room. 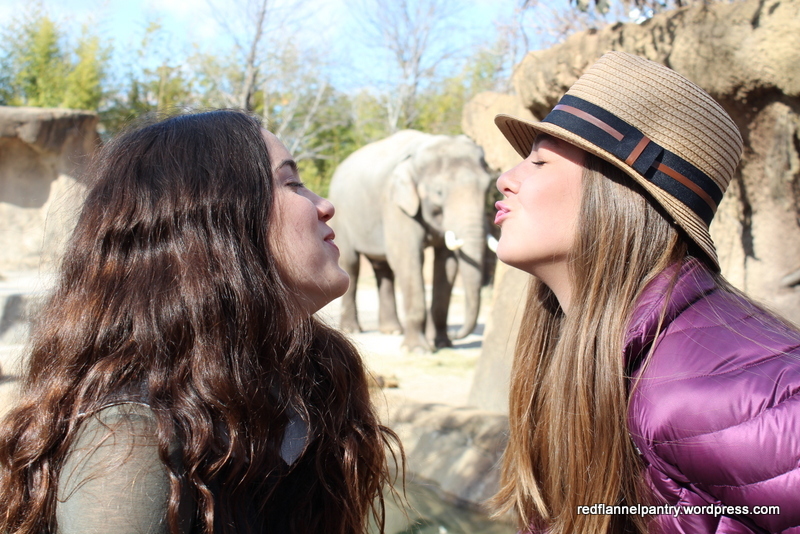 cash–sometimes nothing else will do, it is easy to give and it is always appreciated. My husband and I worked in the garden yesterday afternoon. We had been promised sunny and 80 degrees but ended up with overcast and 60s. 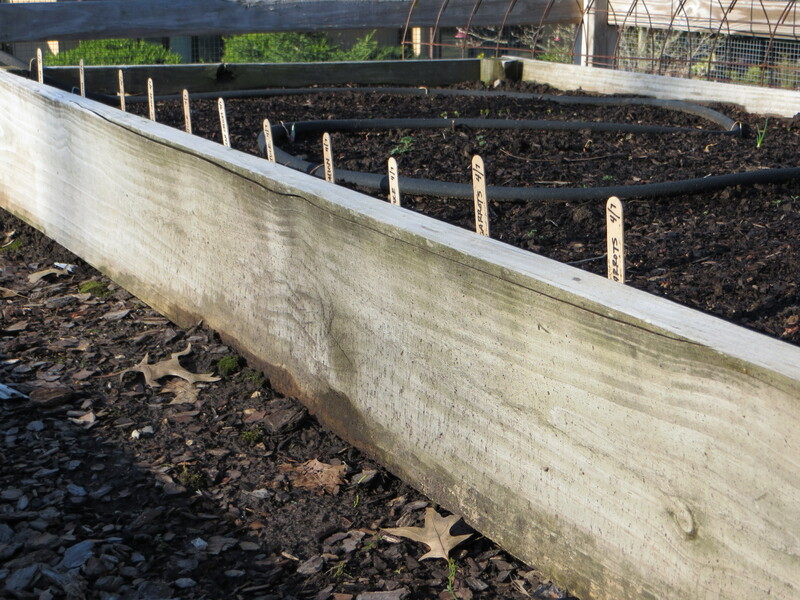 Radishes, onions, lettuce, dill and carrots have emerged. 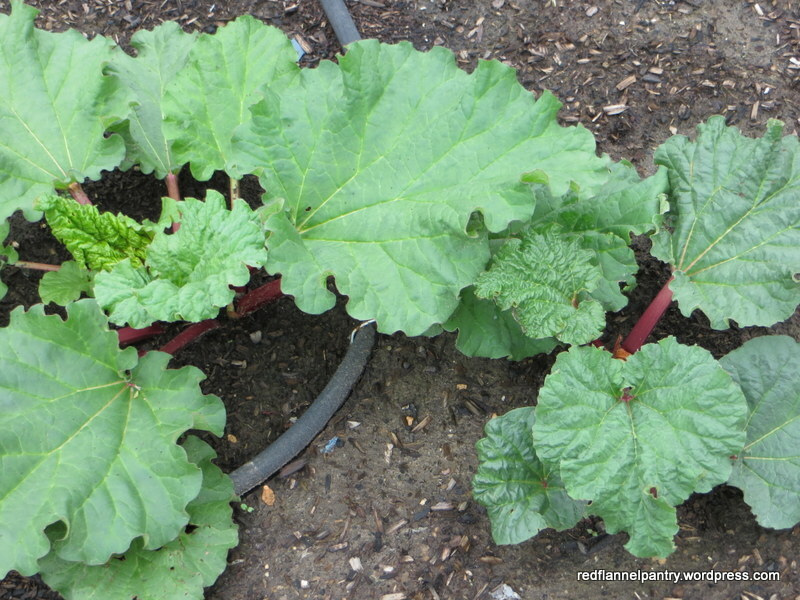 The rhubarb has bulked up. 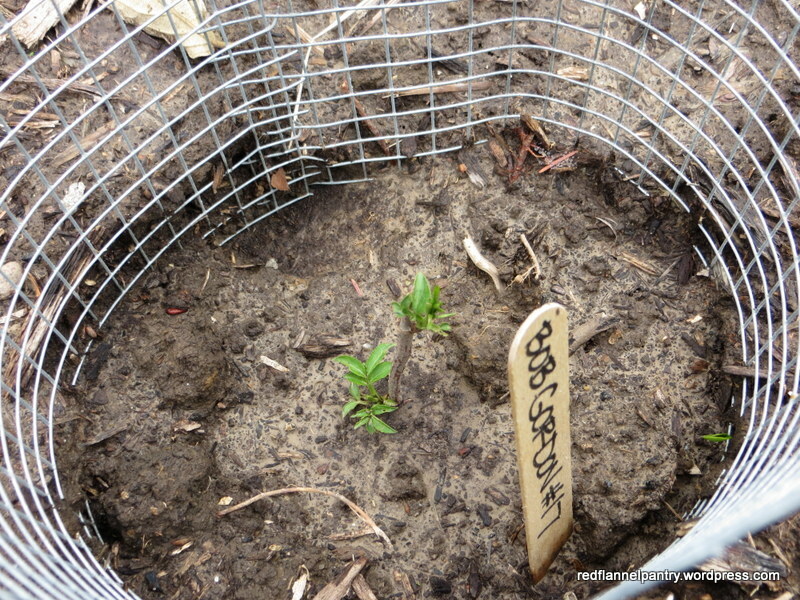 The elderberry starts are sprouting (thanks, Ken!). 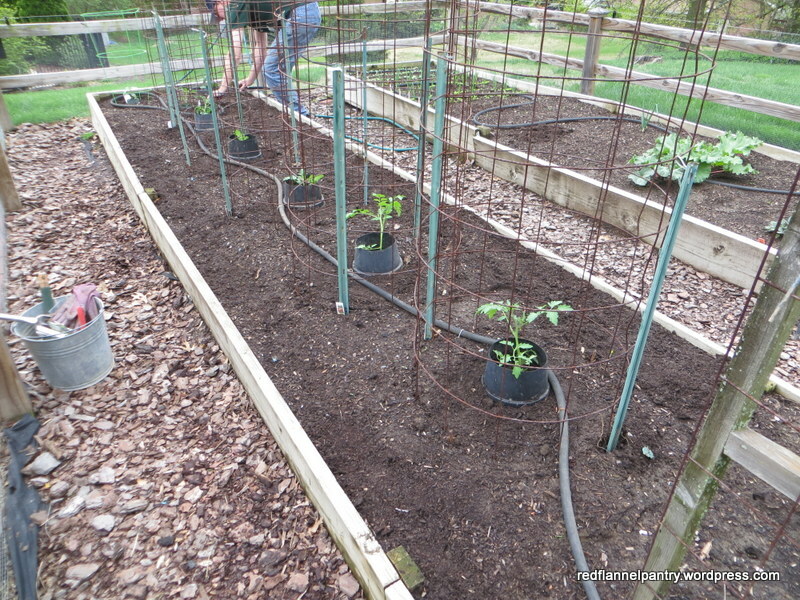 We planted tomatoes and ran the soaker hoses. This year we are trying Mr. Stripey, San Marzano and Sungold. 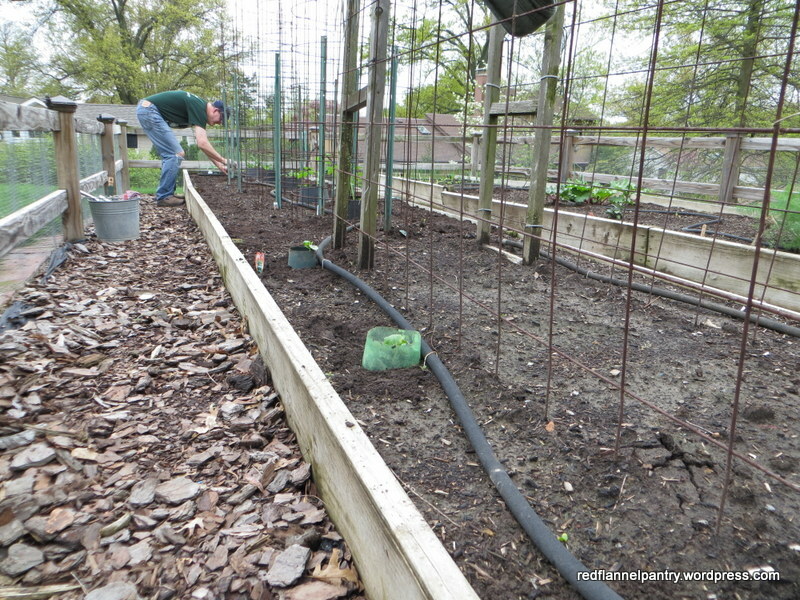 We planted radishes and lettuce along the sides of the raised beds on both sides of the tomatoes. We cut wire hangers into segments and then bend them to hold the soaker hose in place. We save these improvised staples and use them year after year. We got the cucumber plants in too. 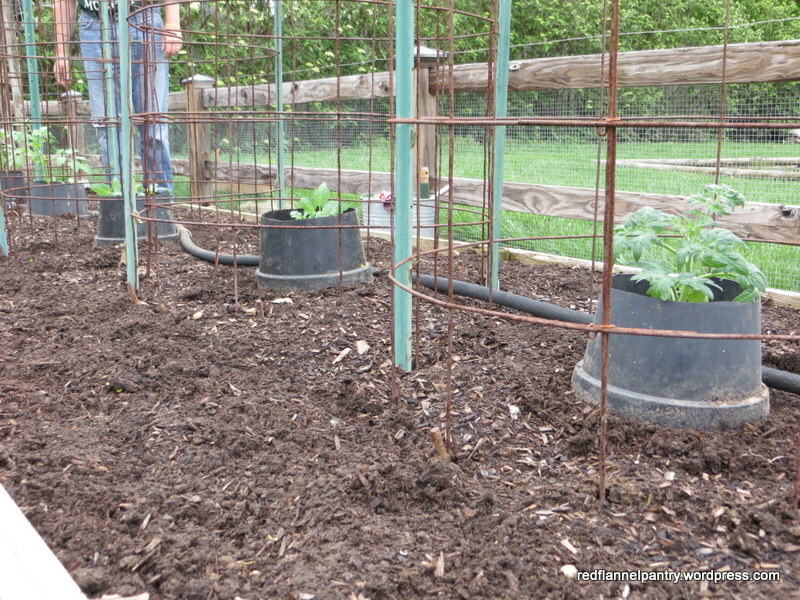 We put collars made from old plastic flower pots and soda bottles around the seedlings to thwart cutworms. 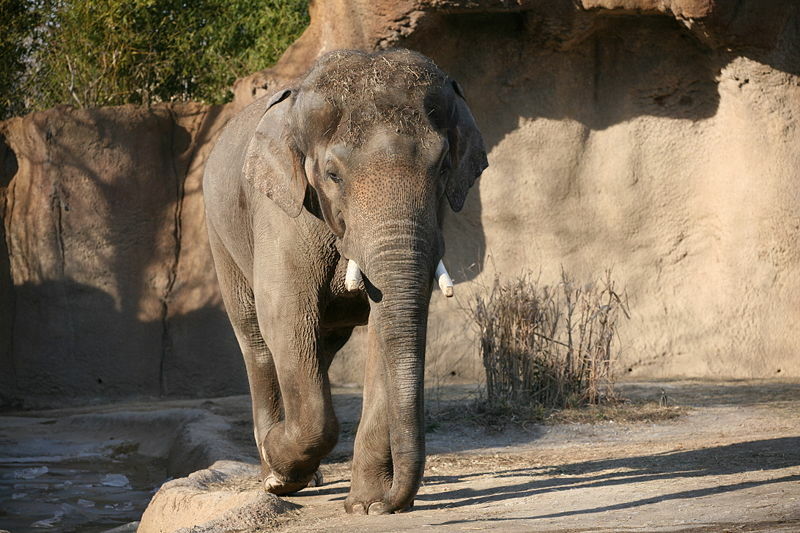 OK, now we are ready for 80 degrees–maybe tomorrow, please? I finished the third Union Jack today. I like the prancing deer. On to the sashing . 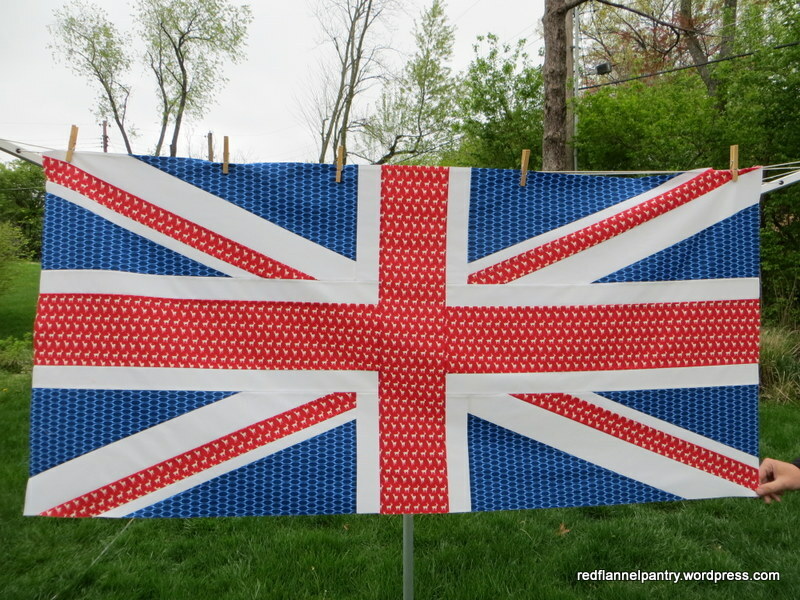 . .
Second Union Jack flag finished–one more to go! 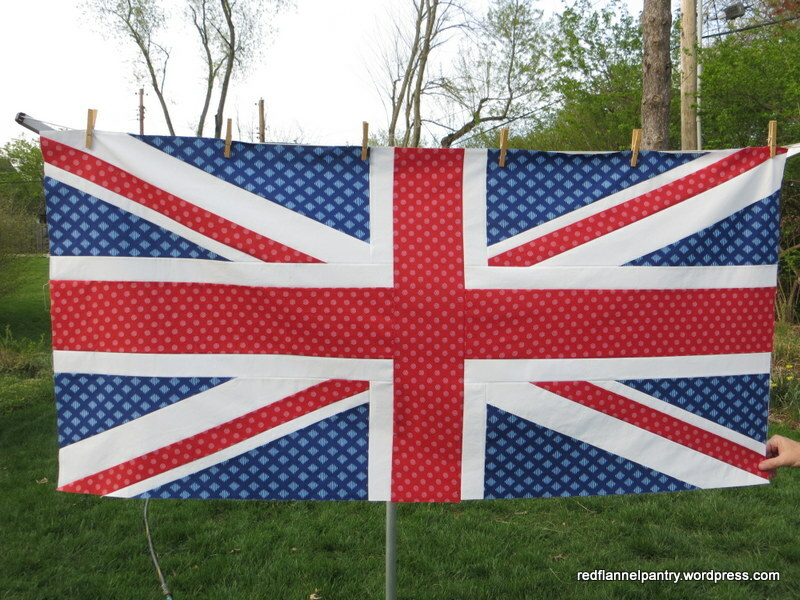 The Union Jack motif is a personal favorite (see needlepoint keychain). 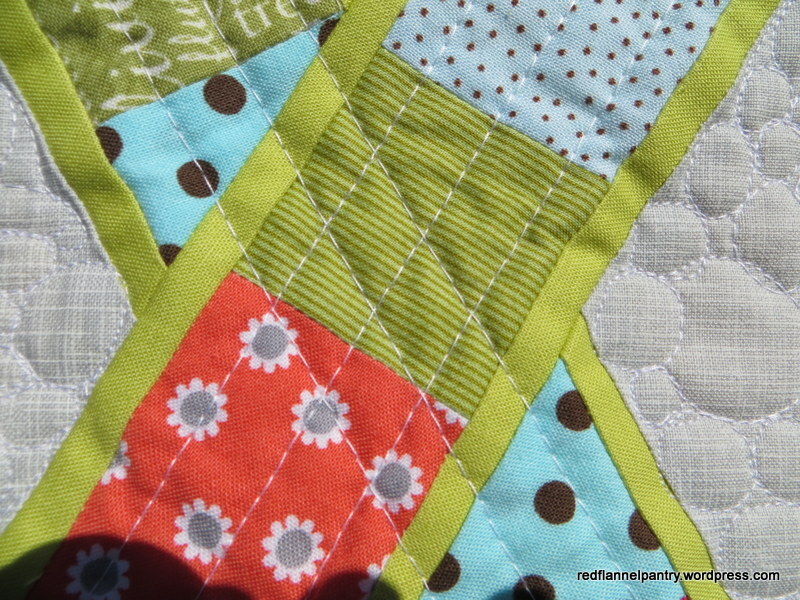 From trolling quilting blogs and Flickr, I was familiar with the Jack Attack quilt tutorial by Lynne Goldsworthy of Lily’s Quilts, but I was intimidated by the angles. I was unsure if I could figure out the tutorial on my own. 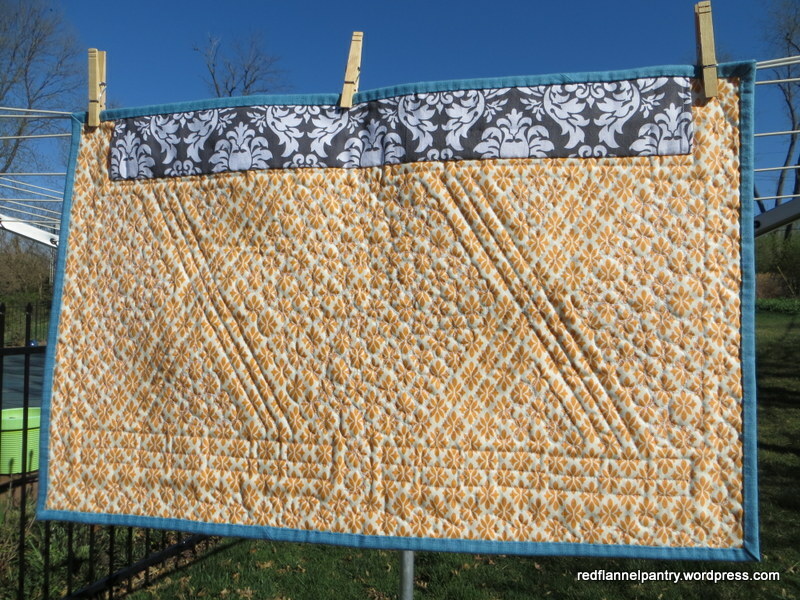 When my experienced quilter friend, Nancy, offered to guide me through, I was psyched–woohoo! I played it safe with my fabric choices. I was inspired by this quilt I saw on Flickr, with its funky take on the traditional blue and red. I veered from the pattern in the widths of the center red cross (mine: finished 6 inches) and of the white bands that border it (mine: finished 2 inches). 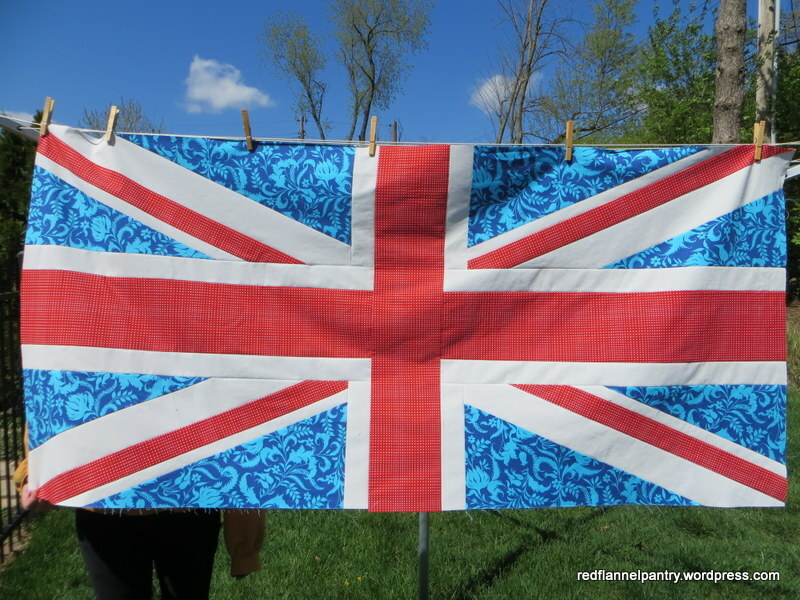 I went with the beefier widths because (1) this quilt is for a double bed and (2) I thought I’d try to make the motif more in keeping with the actual proportions of the Union Jack flag. Seeing my flag now, I am glad that I bulked those elements up, but when I make this quilt next, I will go twin size and use the dimensions given in the tutorial. One flag down, two to go . 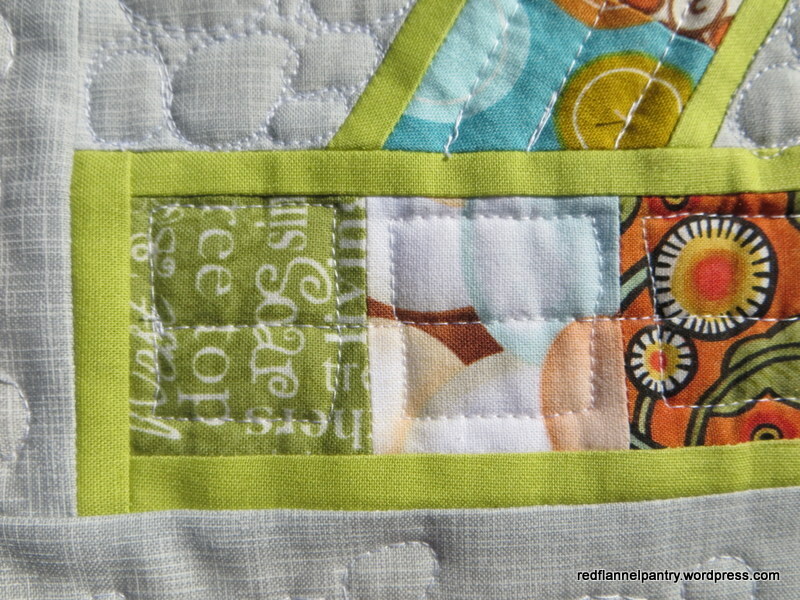 . .
Friends are celebrating their 20th anniversary today, so I made this mini-quilt to commemorate the occasion. I used a light gray for the background fabric (since platinum is the traditional 20th anniversary gift), and I worked some diamonds into the quilting for good measure. 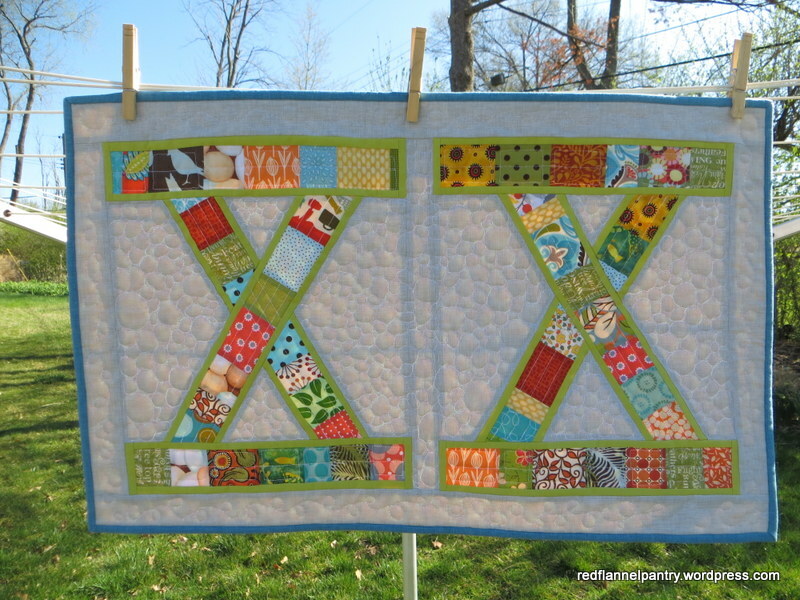 For the roman numerals, I incorporated fabric scraps from other gifts I have made for their family. From a hamsa I made Julie for her 40th birthday, I used a batik fabric with little fish that is still in my stash. Fish on a hamsa are considered good luck, so they make a fortuitous reappearance. 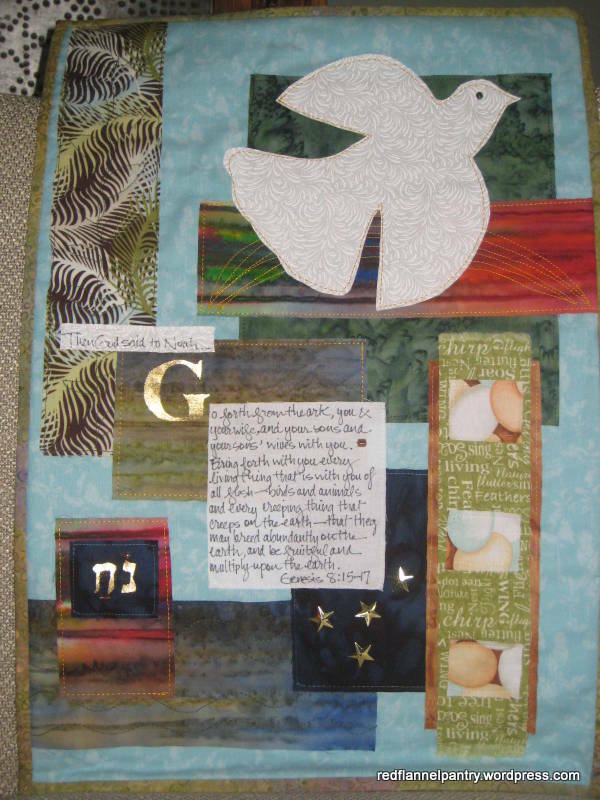 From a mini-quilt I made their Daughter #1 for her bat mitzvah, I used a feathery palm print, egg fabric, and bird text print. Daughter #2 has an amazing memory for numbers and dates, so I know she will like that this little anniversary quilt has a design based on numbers. 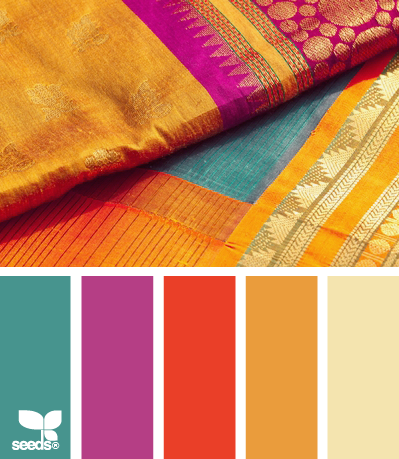 Fleur de lis is Julie’s favorite design motif, so when I poked around my stash, I found these two fabrics–one in orange of course. I’ve had a thing about orange for quilt backs lately. 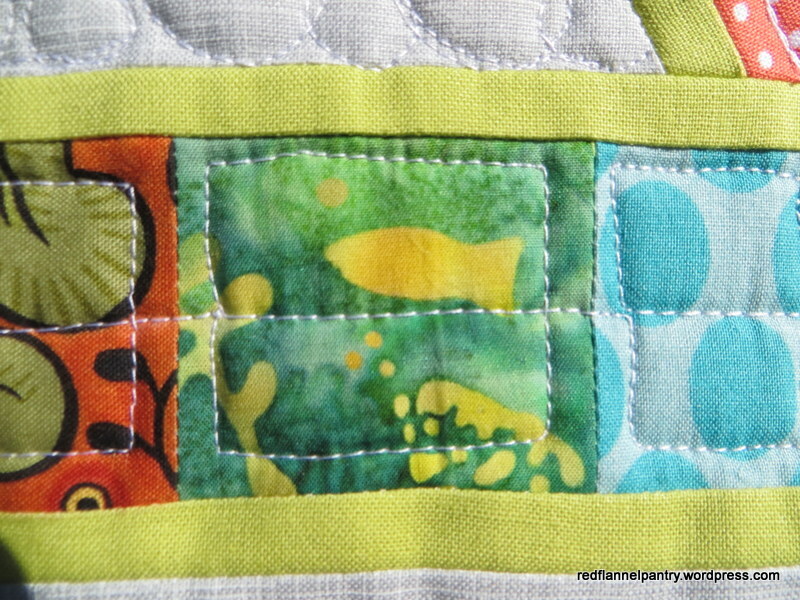 You can see how I did a ton of quilting on it–I tried out some new patterns for fun. 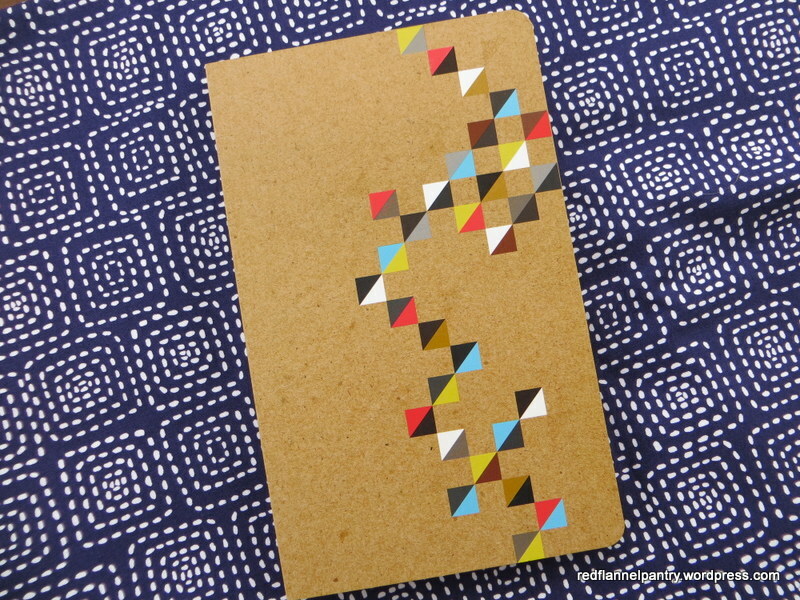 Finished size: 16 1/2″ x 26 1/2″. Happy Anniversary, Julie & Greg! 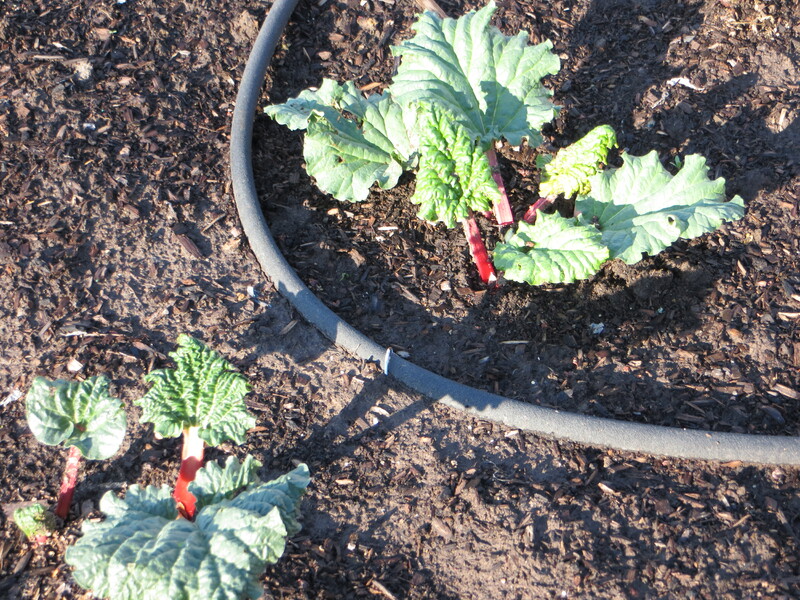 A late-season snowstorm delayed things a bit, but the vegetable garden is back in business. 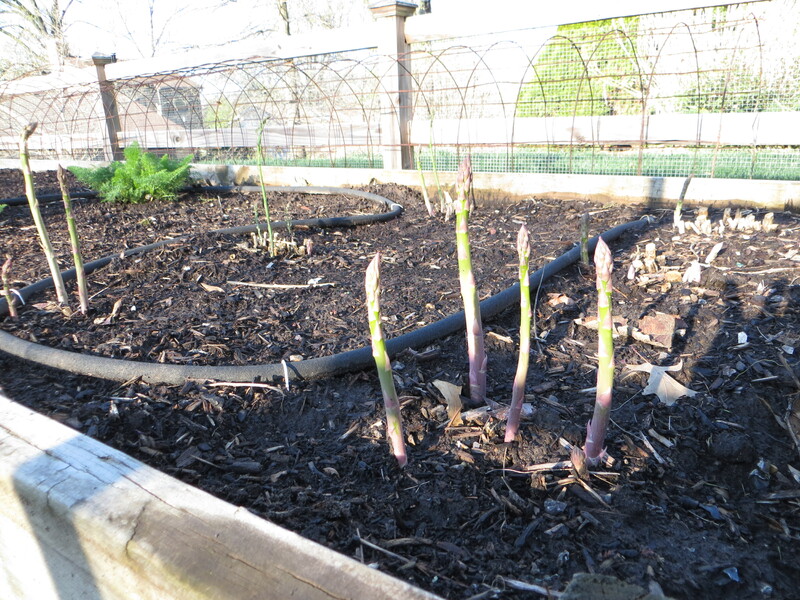 Asparagus began making an appearance a few days ago. 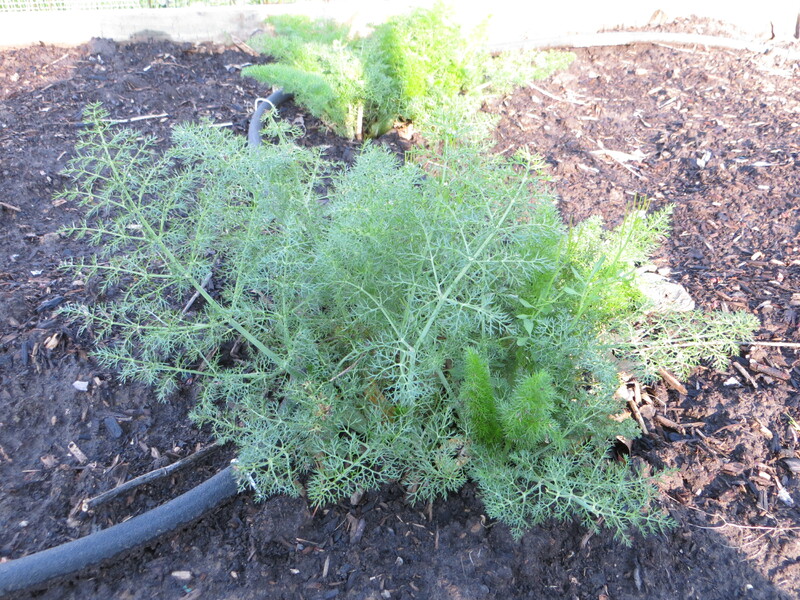 The fennel has muscled its broad shoulders out of the ground as well. Carrot, radish and lettuce production is underway. 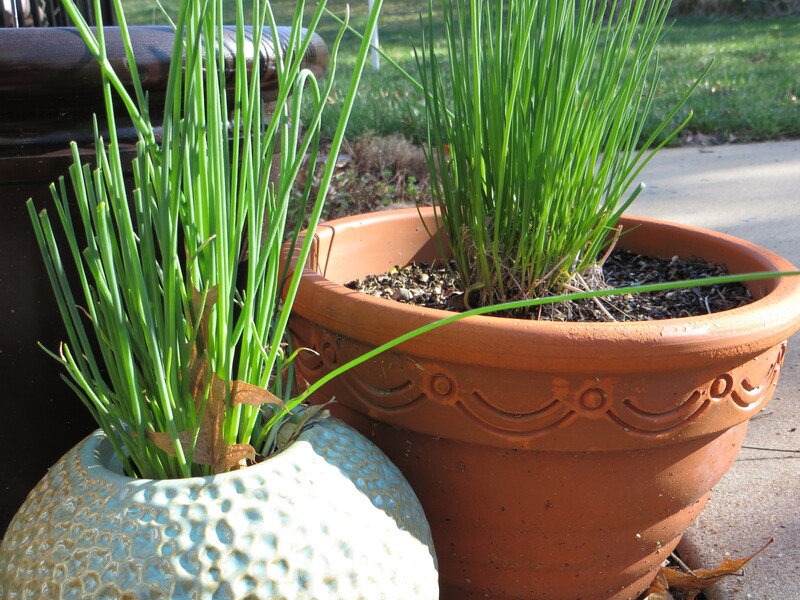 And the pot-bound chives survived!